How about This! 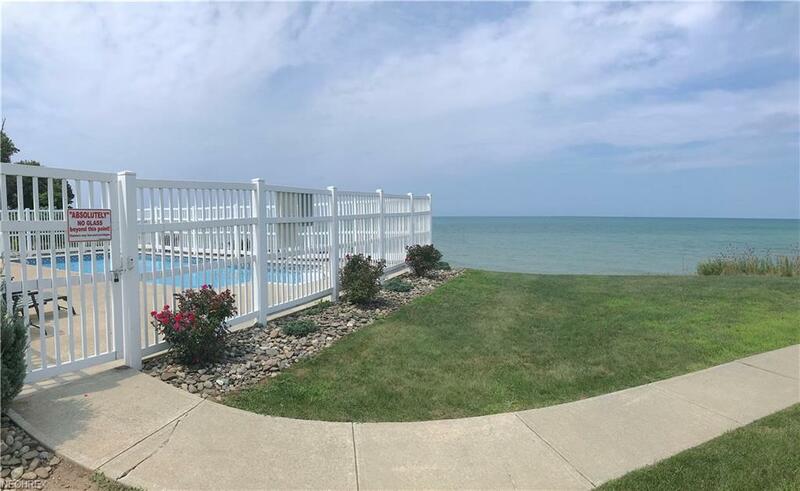 A Care-free Southshore Lake Erie Ground Floor, Corner Unit Condo in Saybrook, just 2/10ths of a mile from Route 45 to I-90, so a very easy to get to location. Enjoy the early evening Sunsets over the lake from your patio or Living room. Wake-up to the Sunrise filtering across the lake from the Master Bedroom. Take in the views from almost every spot within this bright retreat. Get a "Spyglass" to view the freighters plying the lake or the many Sailboats and Fishing boats. Take a short trip west along Lake Road into Geneva-On-The-Lake (GOTL) for great entertainment, from Pinball to Waterslides and even a Zip Line Adventure tour at the "Lodge". There are just super Restaurants to sample from the Casual to those offering a Great Dining experience all within 1 to 5 miles. Take day trips around the area such as to the many Wineries or the Covered Bridges. There is so much for you to be able to do with this as your center location for so many fun things. 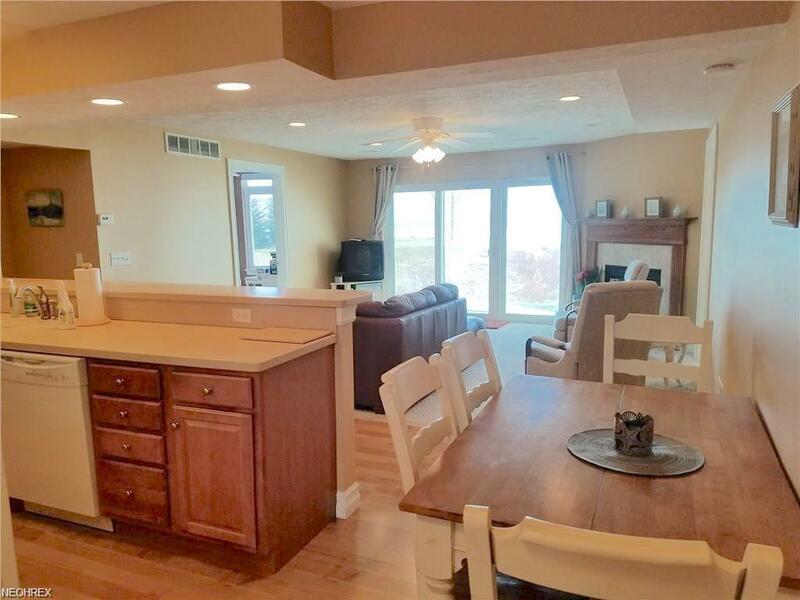 There is an ample sized Eat-in Kitchen with Appliances and direct views to the lake, a Cozy Den. The Master Bedroom has it's own Bath with Double sinks, Tub and separate Shower and a 5' x 5' walk-in Closet. Down the Hall is a Second Bedroom, a Laundry and Bath. 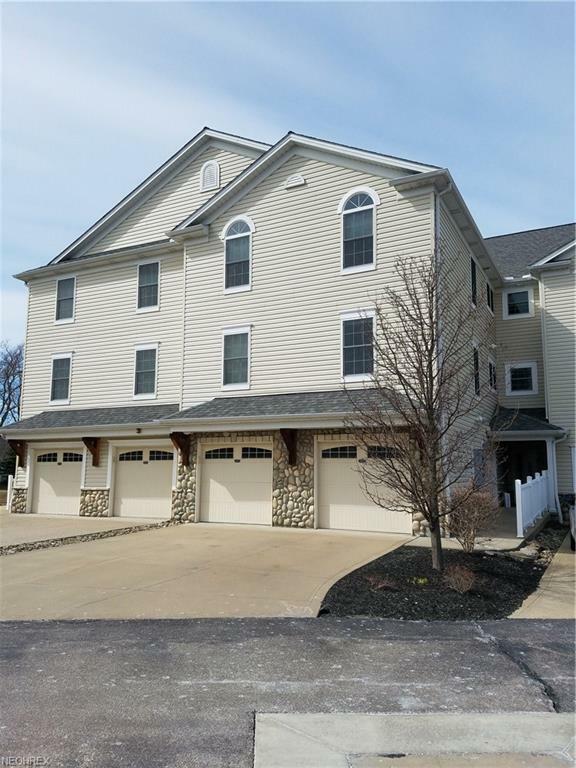 The Garage allows for enclosed parking as well as very convenient with access to the unit from the garage. There is additional garage storage for the Patio furniture or other items. Check this very economical Condo retreat out for yourself.